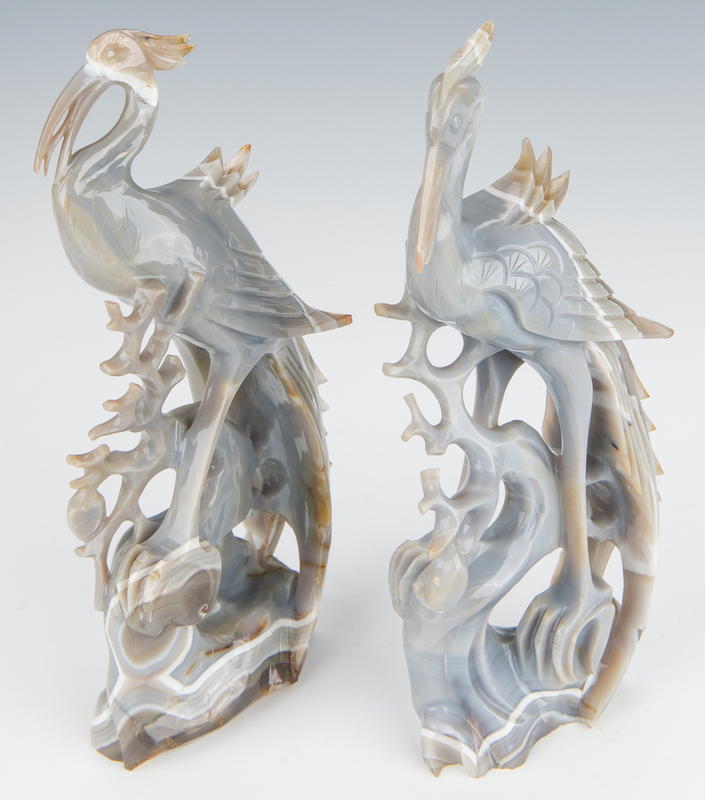 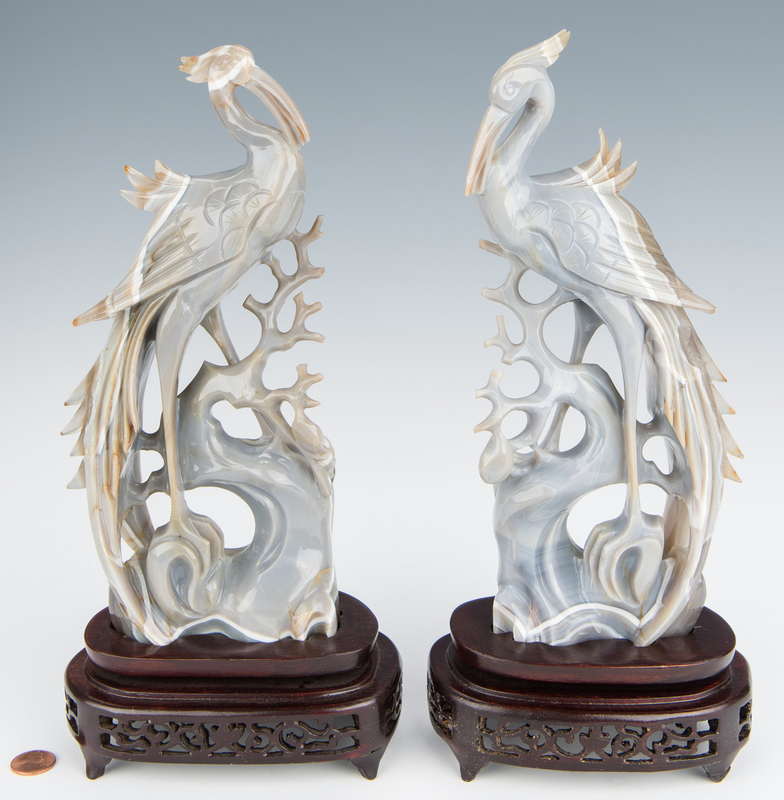 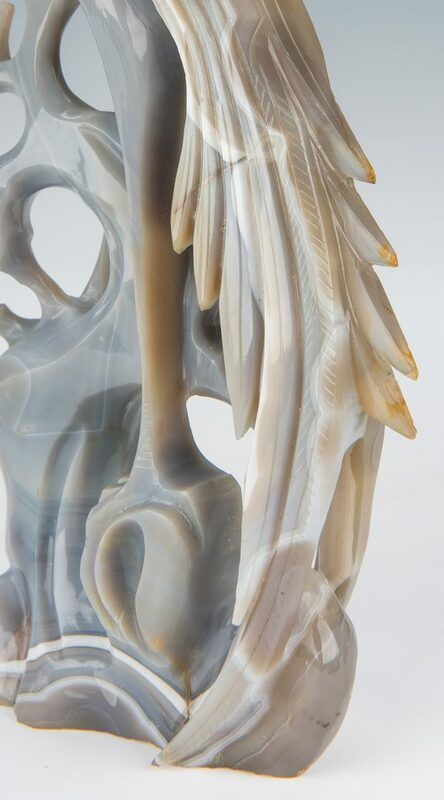 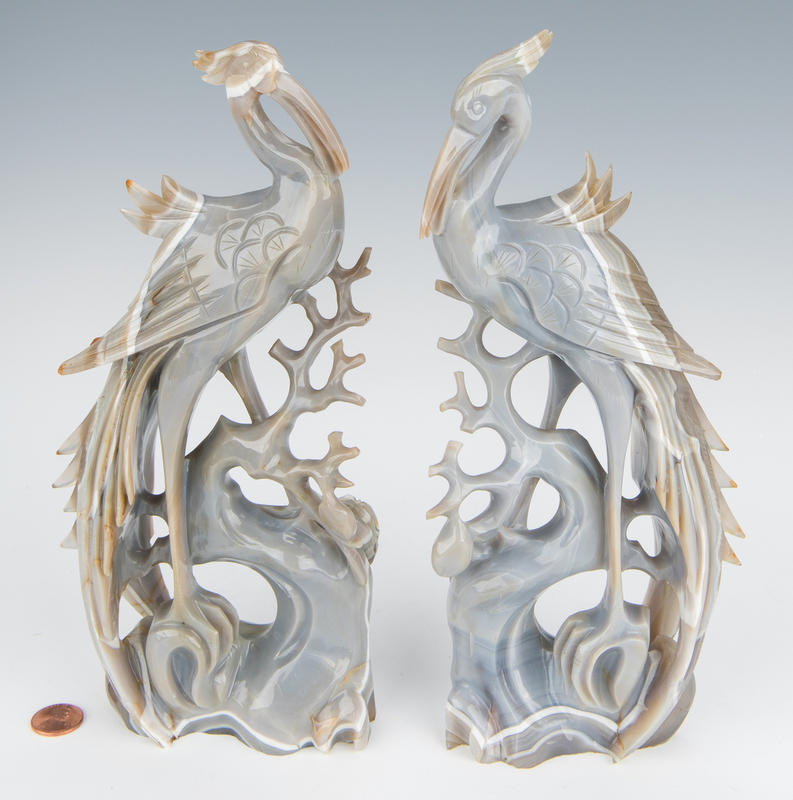 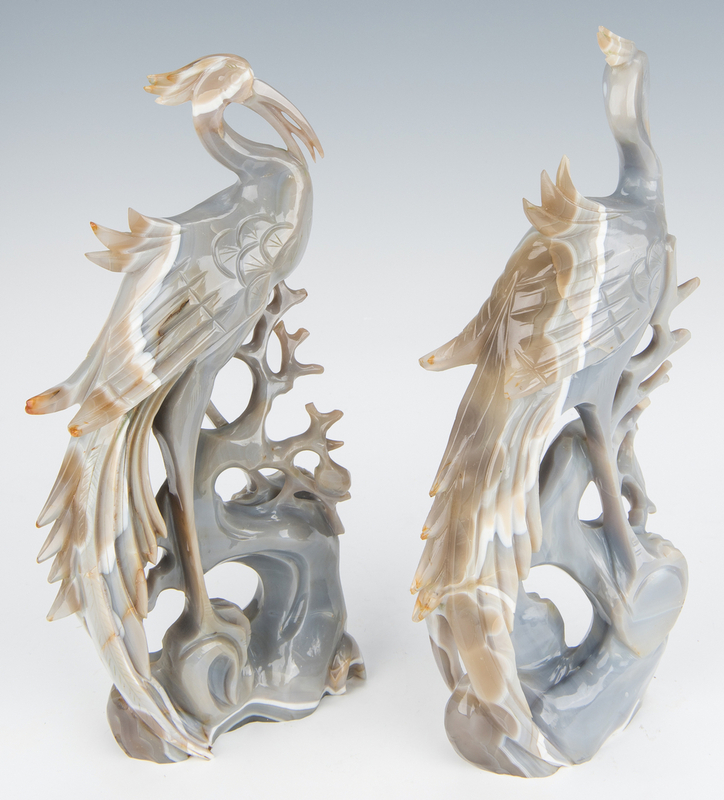 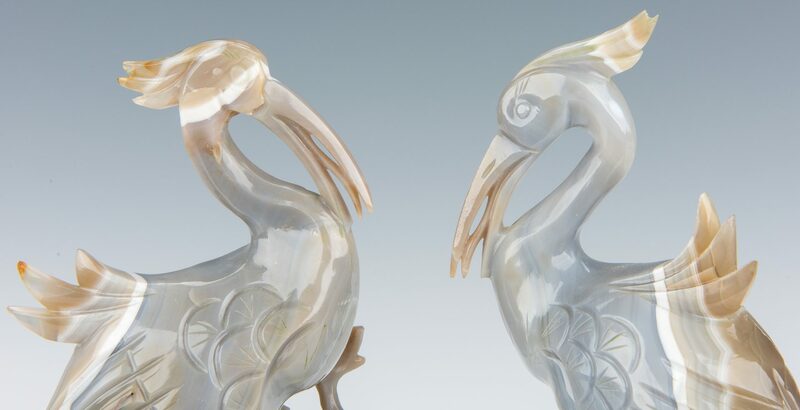 Pair Chinese Carved Agate Figures, modeled as Birds of Paradise on branches, each mounted on a carved openwork wood stand. 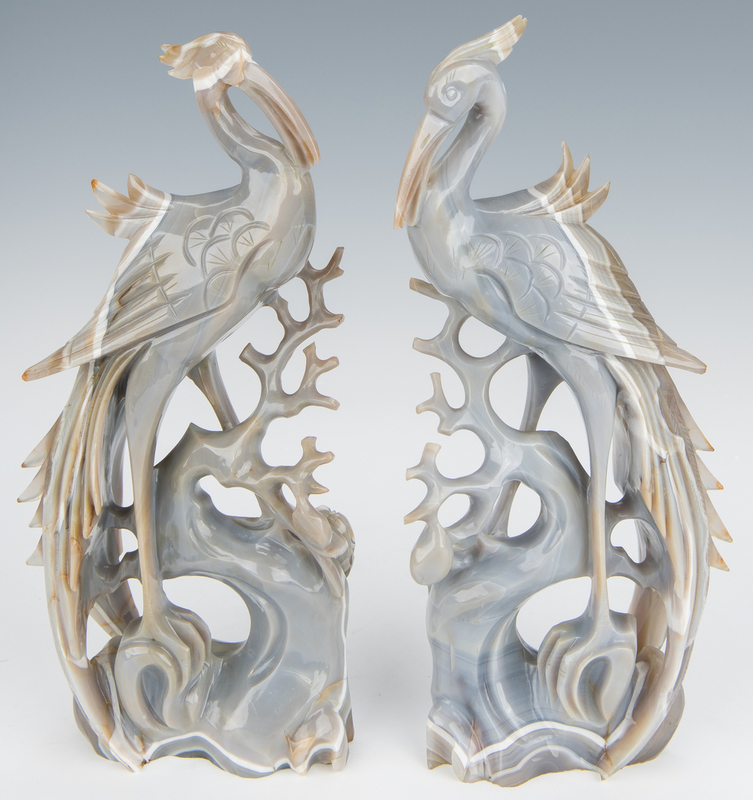 12 3/8" H. 20th century. 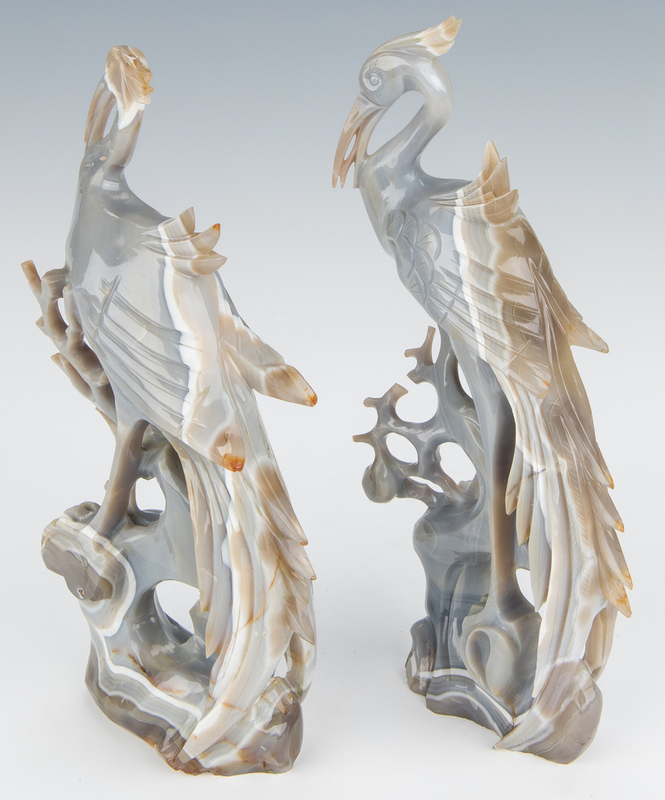 CONDITION: 1 with natural fissure to tail feathers and small losses to tips of other feathers, the other with very small losses to feathers at top of head.